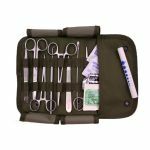 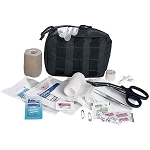 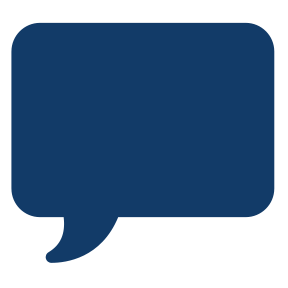 Designed to meet the rigorous requirements of the Merchant Marines, North American Rescue’s Mariner Kit is the standard casualty response bag for the Military Sealift Command. 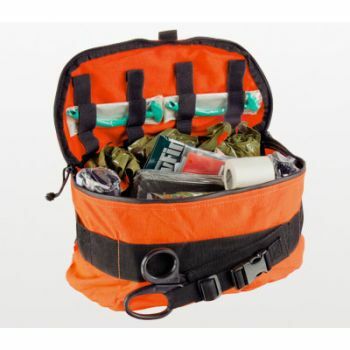 The compact bag is orange with a reflective trim for high visibility, easy transport and convenient storage. 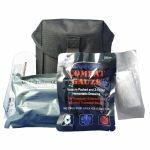 The large central compartment, multiple attachment points and front Trauma-shear storage offer a versatile, mobile platform with ready-to-use supplies for treating leading causes of preventable combat death. 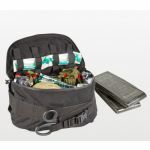 The kit's contoured profile is designed to be worn as a belly bag or slung over the shoolder.